The Rev. Canon Mary Douglas Glasspool, a priest of the Diocese of Maryland and a partnered gay woman, was elected to serve as a bishop suffragan in the Diocese of Los Angeles in December 2009. The consent process, a 120-day period, requires the receipt of consents from majorities of the Standing Committees throughout the Episcopal Church and from the Church's bishops with jurisdiction. On March 17, just before the opening of the House of Bishops meeting at Camp Allen, Texas, the presiding bishop's office announced that Canon Glasspool had received the number of consents required to proceed with her ordination and consecration as a bishop. Along with several other bishops, I had been delaying my vote until the House of Bishops meeting so that we might confer with one another as to the implications of this episcopal election. As consent is a responsibility upon all diocesan bishops, I then sent in my ballot even though the process had already been decided. Understandably, the diocesan offices have received numerous inquiries as to how I voted. I write this to announce my decision for this particular process and to say something about what this means (and doesn't mean) for my leadership in the Diocese of Virginia. Bishop-elect Glasspool's election has been both a source of celebration and of alarm for many in our diocese, just as in the Episcopal Church and our wider Anglican Communion. In my judgment, both "sides" make compelling arguments and have quite legitimate concerns. Personally, I am more torn by this decision than by any other decision I've yet faced, whether as priest or bishop. After deep prayer and thought, I voted to decline consent to the ordination of Bishop-elect Glasspool. This is not to reflect on Bishop-elect Glasspool herself (who, by all accounts, is indeed highly qualified and well suited for the ministry of bishop) but rather is about the circumstances of this case. My decision was based on the unique context of this particular election. Under other circumstances, I would have voted differently. Frankly, I look forward to the time when I can. As it is, however, several points swayed my decision; taken together they presented what was to me an overwhelming weight. First, as I have stated before, I believe that it is theologically inconsistent to ordain a partnered gay person as a bishop without provision for the Church's recognition and blessing of that partnership. (We would not do this with heterosexuals.) As things stand now, the cart is before the horse. To me, the controversy about partnered gay bishops would be moot if we dealt successfully with the blessings of monogamous gay relationships. I will continue to work for that result: first things first. Second, immediately following last summer's General Convention, both the presiding bishop and the president of the House of Deputies wrote to the archbishop of Canterbury (in letters made available to the Convention) stating that the Convention's actions did not overturn, and should not be interpreted as overturning the moratorium on the consecration of partnered gay and lesbian bishops. That moratorium had been in place since 2006. With statements from both presiding officers of Convention affirming that it remained, for the present, the policy of this Church, it seemed to me that a denial of consent to this election was necessary. 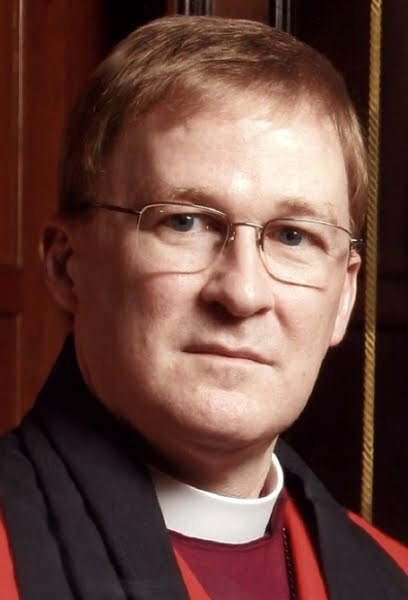 Third, the 2006 General Convention committed the Episcopal Church to participation in the work developing an Anglican Covenant for consideration by the Communion. My understanding is that we pledged to cooperate in those deliberations until the Covenant was either adopted for this Church or not. We gave our word, and I believe that we should live up to that word. To proceed with such a controversial move at the very time that the Covenant is under consideration is, I believe, contrary to the good faith necessary in our commitment to that work and ensuing discernment. As I made clear when I was elected bishop for the Diocese of Virginia, I am committed to the Anglican Communion. The Communion is not some patched together entity; still less is it something merely abstract. Communion across international bounds and embracing the globe is nothing less than a gift of grace. This is why it must be held dear. I do not know just where this controversy will lead us, but as your bishop I will work to support and strengthen the unique witness that is the worldwide Anglican fellowship of faith. At the same time, as I have stated clearly in a variety of settings, I am no less committed to the full inclusion of our gay and lesbian brothers and sisters in all areas of ministry in the Church's life. I understand that my vote to deny consent in this case could be interpreted as backing away from that commitment. Even so, I can only declare again my deep conviction that full inclusion is also a sign of grace-and we should be reaching to embrace it. From this, it follows that I am both "pro-Communion" and "pro-inclusion." I reject completely any notion that these positions are mutually exclusive. I remain hopeful, even confident, that there is a way to be faithful to this "both/and" witness. Our history teaches us that we Anglicans-when we are at our best-have been able to hold perceived opposites in a creative and liberating tension that has room for everyone and gives birth to new answers. This is the time to reclaim our best yet again. The Standing Committee of the Diocese of Virginia has declined to consent to the election of the Rev. Canon Mary Douglas Glasspool as bishop suffragan of the Diocese of Los Angeles because, in the view of a majority of the Committee, her election is inconsistent with the moratorium agreed to by the General Convention of the Episcopal Church. That majority believes that, at this time, failure by individual dioceses to respect the Church's agreement to the moratorium would be detrimental to the good order of our Church and bring into question its reliability as an institution. The committee found no other reason to withhold its consent to the election of Canon Glasspool. Although I disagree with Bishop Johnston, I tip the old zuchetto his way for a cogent, well thought statement. Too, zuchetto's off to the standing committee for honoring General Convention resolutions. Hang on - so he chivalrously waited until the skirmish was over before taking to the field. He was waiting to confer with his sister and brother bishops at the House meeting. Given that the result was announced a day or two prior, you can hardly bash him for that. The fault is that the rest of the House didn't seize the opportunity to discuss it together before voting. Good point, you have persuaded me that you are correct...but on the other hand, I would like to affirm my commitment to my earlier view...and yet I do stand shoulder to shoulder with brothers and sisters who hold views such as yours...so let me, in summary, declare that I uphold my original view even though, in a very real way, I desire to express my heartfelt agreement with your argument...as we know this represents the very, very best of the Anglican tradition. Perhaps I have been around too long, but I find it disingenuous that the bishop would issue this letter a week or 2 before going before the Virginia Supreme Court. Had he had any conviction to vote against Glasspool, he would have made that clear before the HoB meeting. No discussion in the HoB was going to change the Communion's disgust with TEC over its, once again, going back on its own word. And he would have been in a stronger position to discuss it having taken a pro-Communion position. The timing is terribly convenient. I don't think it has any relationship to the court date at all. The CANA folks won't think much of it. And the Court won't know or care about it. Yep - what anonymous said. It doesn't play into court stuff at all - the court cares not a whit.